Did some online research before I left the house this morning. I considered Grants Family Reserve blend ($24 CDN) as I’d had a bottle before and finished it within the year (a good sign), but it was distinctly...well...a $24 blend. Thought about Johnnie Walker Black too, but was looking for something with a little less character. And at $55...I could get a single malt. 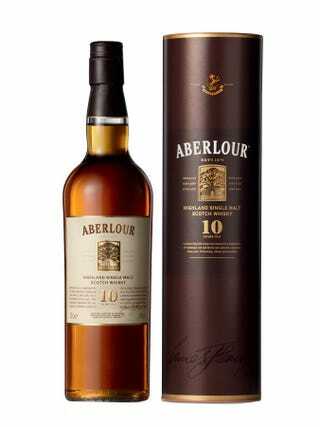 Without trying it before and based on reviews and cost ($57 CDN) I picked up a bottle of Aberlour 10. Wow. It’s bottled at 40% so adding water is kind of out of the question, but with this quality, there’s really no need either. Wow. Rich, tasty, very drinkable. Could be priced at $70 $80 and would still be worth every penny. masterofmalt.com has it for $32 US and Americans could probably find it in local shops for $25.